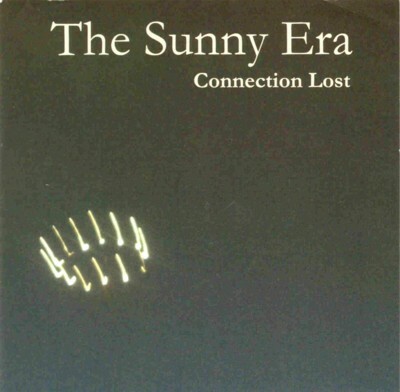 Review: "The Sunny Era : Connection Lost" - Sea of Tranquility - The Web Destination for Progressive Music! Possessing minimal variety in song composition, languid arrangements, insipid vocals and the most ineffective percussion this side of the Ural Mountains, The Sunny Eras debut release had me hitting the skip button more often than I would hit a swarm of rogue blowflies at a summer barbecue. The band could have easily saved themselves a wage by ditching the drummer and replacing him with a metronome, such is his plodding and boringly regular habit of simply hitting the skins with no discernable emotion at all. Talk about sterile! The 14 songs offered on this 2006 release are so simplistic in their structure, so totally bereft of imagination and variety you would gladly read a book on the mating habits of the Venezuelan woodworm just to relieve the boredom. If this band is trying to emulate the style that Radiohead or Coldplay use to such great effect, they might be better off selling their equipment and trying an alternative line of employment. A check of their website reveals that only one somewhat favourable review has been posted so it will be interesting to see if this number is increased over the coming months. Perhaps no-one else has found this band's music worthy of further investigation either. To be fair there might be some people that could enjoy this album but they would probably only exist in a comatose state or be so inebriated they would be unable to tell if they were listening to the Sunny Era or an electric toothbrush. Having listened to this wretched mess at least a dozen times, here's what I would prefer to endure. 1. Being fired on the first day of your new job. 2. Being told by an 18 year old blonde you were the worst lay she has ever had. 3. Meeting the old fashioned parents of a girl you have just got pregnant. 4. Showering in front of some new fandangled plexiglass only to find it was totally see through and you could only manage a semi. 5. Getting stuck with the ugly one. 6. Having to let one go in the elevator just as a spunky blonde walks in. The title, "Connection Lost" says it all really. Oh, BTW � the cover art is really impressive too! Hailing from Minnesota comes The Sunny Era, whose new album Connection Lost sees the band attempting a sort of Radiohead-meets-The Beatles style that doesn't always work, but does have it's moments. While you can instantly give them credit for injecting violin, cello, organ, and flute, into what is mainly atmospheric alternative pop music, for the most part the band tends to take a minimalistic approach to their arrangements here that causes many of the songs to follow a similar droning pattern. That's not to say that there aren't some nice melodies and catchy tunes here, like on "Hope Beyond", "Heart of Chrome", and the title track. There's also some interesting jangly guitar licks on "The Briefcase" as well as on "One Hour to Go", which also features some wicked fuzz organ. However, it's not until the near 11-minute epic "The Casual Fix and the Shaped Wrong", one of the CD's few instrumentals, that the band comes close to creating anything with any real "oomph", this one a full-blown 1960's styled psychedelic rave-up with distorted guitars, crashing drums, and raging organ, somewhat in the style of Iron Butterfly or Vanilla Fudge. For the most part though, what you get here is pleasant enough pop rock, but an album that really takes few chances and never really gets out of first gear. The vocals are decent, but the band needs to utilize their extended line-up more and put those guitars, violins, cellos, and drums to better use. Kicking up the tempos a bit would help, and adding some extended instrumental passages with a little "rock" in them might just be the missing ingredient. You should follow your own rules, are you doing a review, or just trying to be funny, you did neither. "We reserve the right to delete, at our discretion, any comments that we deem childish, crude, insulting, or discriminatory, which ultimately is a waste of our bandwidth"